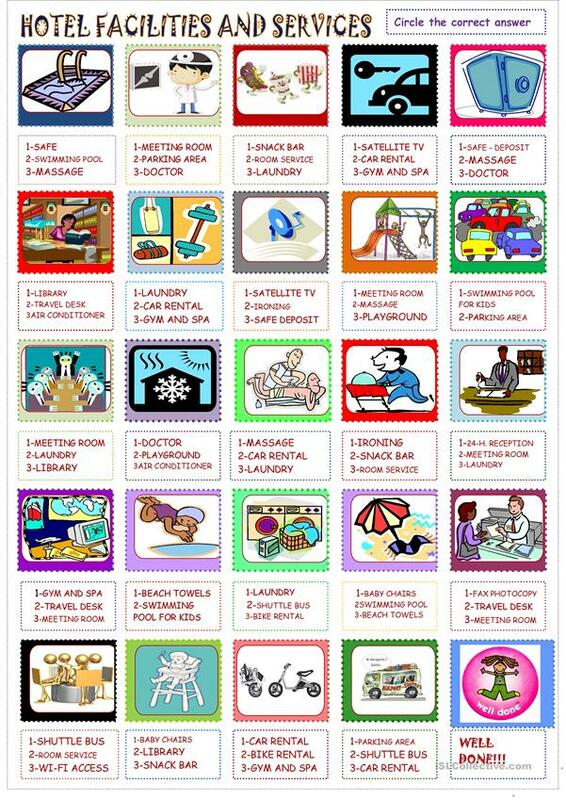 Vocabulary related to hotel facilities and services can be practised with this worksheet. Students have to choose the correct answers with the help of the given pictures. The above printable, downloadable handout is recommended for high school students, elementary school students and adults at Elementary (A1), Pre-intermediate (A2) and Intermediate (B1) level. It was designed for enhancing your learners' Spelling, Speaking and Writing skills. It features the theme of Travel.